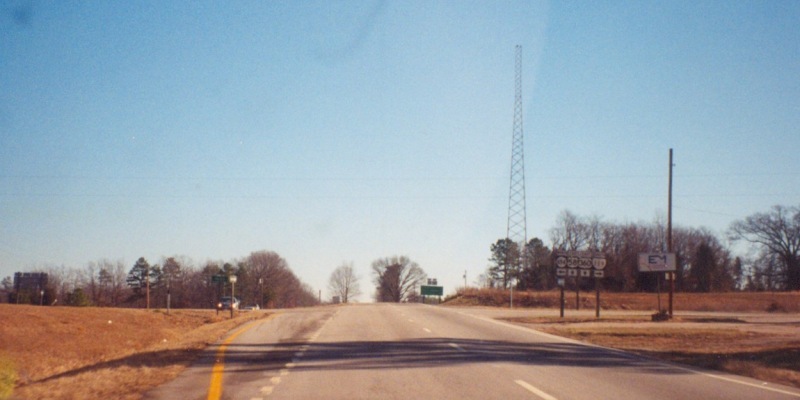 Heading south into North Carolina, where NC 119 has existed longer than its Virginia counterpart. Photo by Mapmikey, taken July 22, 2006. The view beginning onto VA 119, with a shield assembly close ahead. Photo by Mapmikey, taken July 22, 2006. 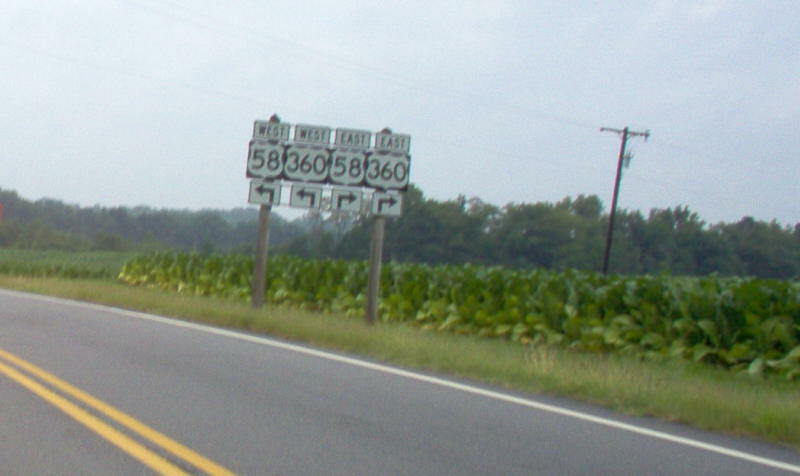 Another multistate route with short mileage in Virginia, VA 119 goes to the right (south) towards North Carolina from eastbound US 58/US 360 here. Photo by Adam Froehlig, taken January 27, 2002. The view from US 58-360 westbound. Photo by Mapmikey, taken July 22, 2006. Beginning down the short VA 119 southbound. Photo by Mapmikey, taken July 22, 2006. OK I got lazy and attempted to photograph VA 119 approaching US 58-360 without turning around. I only got the trailblazers. Photo by Mapmikey, taken July 22, 2006.